Havana (Cuba), May 09, 2018 (SPS) - A the Speaker of the Sahrawi National Council Khatri Aduh has Tuesday started an official visit to Cuba, upon his arrival, he jointly with MP Cuban, Yolanda Ferrer, have laid a wreath at the memorial monument, of Cuban independence hero, José Martí. Kigali (Rwanda), May 09, 2018 (SPS), the Minister Delegate for African Affairs, Mr. Hamdi Khalil Mayara, has attended the African Union Ministerial Meeting on the role of digital technology in achieving continental development for the establishment of a single continental market after the signing of the Free Trade Area Agreement. Algeria, May 08, 2018 (SPS) - The Sahrawi Republic has yesterday taken part at the 51st edition of International Fair of Algiers, which was inaugurated by Algerian Prime Minister Ahmed Ouyahia. Chahed El-Hafed, May 09, 2018 (SPS) - Frente POLISARIO has reiterated its willingness to cooperate constructively for the immediate resumption of the direct negotiations with the Kingdom of Morocco, without preconditions and in good faith, in order to allow Sahrawi people exercise their inalienable right to self-determination and independence. Bir Lehlu, May 8, 2018 (SPS) - The government of the Saharawi Arab Democratic Republic (the SADR) observes with satisfaction the successful recovery and the sale of a cargo of phosphate rock illegally exported from the occupied part of Western Sahara. 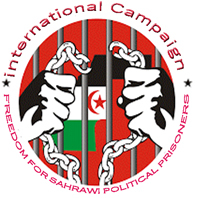 Shaheed El-Hafed, May 7, 2018 (SPS) - The Permanent Office of the National Secretariat of the Polisario Front has confirmed that the Moroccan government's unreasonable justification for its decision to sever diplomatic relations with Iran was related to cynical political opportunism as part of its campaign launched since March by resorting to misleading and endangering the security and stability of the region. Shaheed El-Hafed, May 7, 2018 (SPS) - The Permanent Office of the National Secretariat of the Polisario Front has renewed the readiness of the Polisario Front to cooperate constructively for the immediate resumption of direct negotiations with the Kingdom of Morocco, without preconditions and in good faith, to enable the Saharawi people to exercise their inalienable right to self-determination and independence. Morocco shipped over 1.5 million tonnes of phosphate out of occupied Western Sahara in 2017, to the tune of over $142 million. But the number of international importers of the contentious conflict mineral is waning, WSRW's annual report shows. For the fifth year in a row, Western Sahara Resource Watch has published a detailed annual overview of the companies involved in the purchase of occupied Western Sahara's white gold: phosphate.